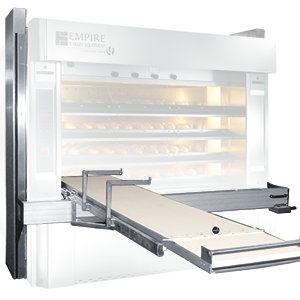 Need to increase the efficiency and productivity of your oven? 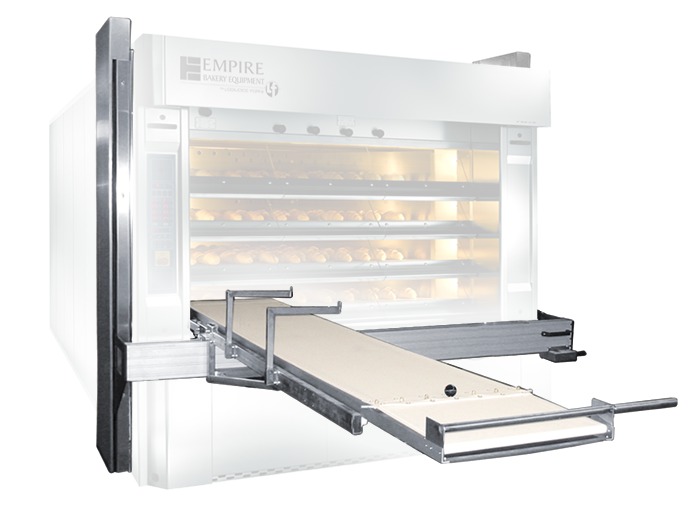 Look no further, the Integrated SIRIO Oven Loader is the ideal compliment to Empire’s complete line of multi-door Stone Hearth Deck Ovens. The solid steel and aluminum frame provide for effortless side-to-side operation and with an advanced counterweight system the unit can be raised and lowered smoothly. With a locking mechanism that snaps into place during use, you are assured precision loading and unloading of your baked goods. While not in use, you can utilize the resting position which is located at the hood height to keep the loader out of the way. 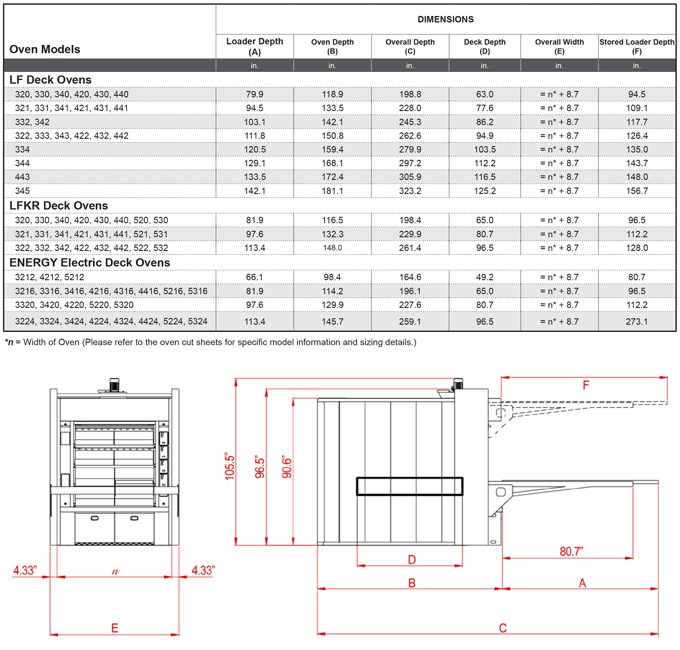 Fits all Empire LF, LFKR and ENERGY ovens. Eliminates the need for hand peels and manual setters. Precision balanced counterweight lifting system provides smooth operation. Durable steel and aluminum frame construction. Resting position at hood height keep the loader out of the way when not in use.